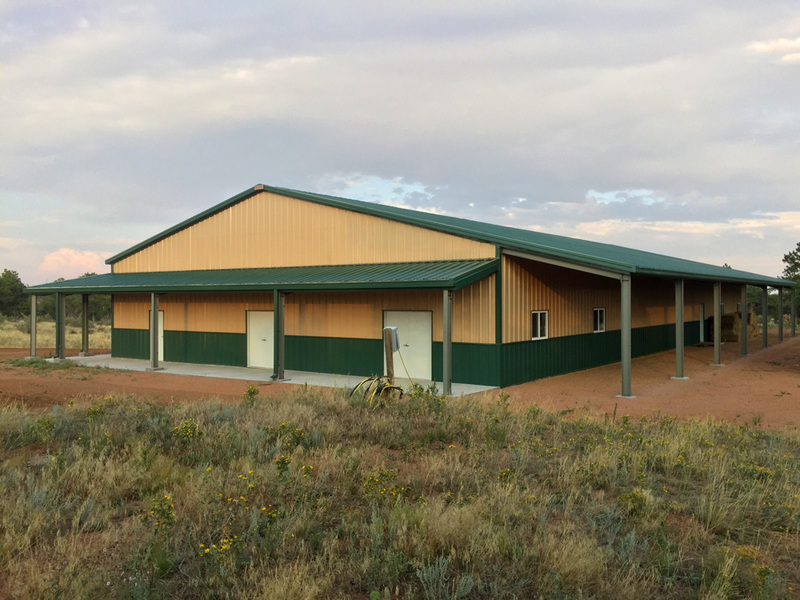 Sunward Steel Buildings, Inc. manufactured and supplied this prefabricated metal building on behalf of a client in Livermore, Colorado, in August of 2016. Originally purchased and designed to protect and preserve the owner’s valuable outdoor tennis court, the custom steel building now serves multiple purposes as a meeting ground, gym and athletic center. In addition to giving the owner and other building users plenty of room to come together and recreate, it also offers the strength and durability the surrounding climate demands, standing tall in the face of heavy snowfall, strong winds and other possible hazards. Building owner Mike Harris had a hand in the design and erection of the metal athletic building, helping his contractor raise it to a finished, fully erect size of 64’x122’x14.14’. 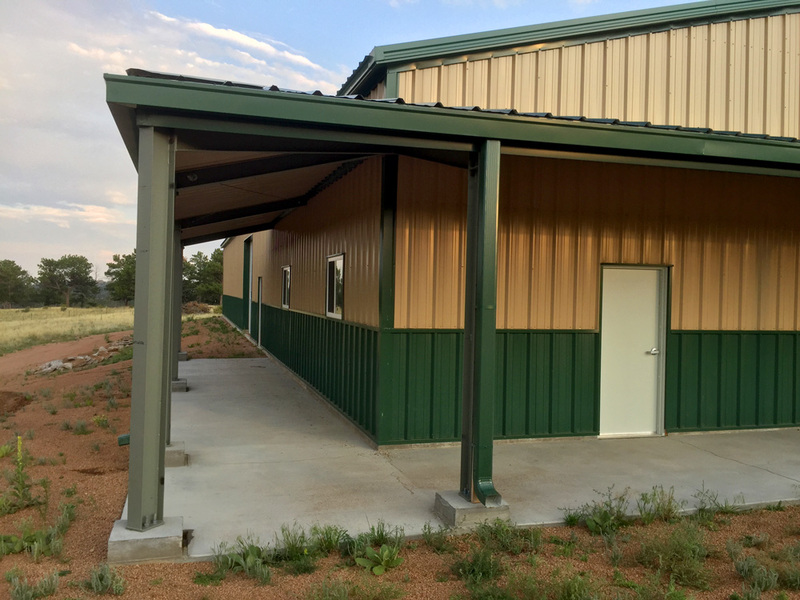 Highly energy efficient and insulated to allow for year-round use, the building boasts an attractive, Dark Green exterior, gutters and downspouts that help divert water away from the foundation, and a rugged metal roof with a 3:12 pitch. In its roof and walls, it contains R-19 insulation, which lowers energy bills associated with the property substantially while helping building users stay comfortable, regardless of outside temperatures. Additional key features include (16) framed openings ranging in size and function, among them (2) 12’x12’ openings enclosing (2) 12’x12’ overhead doors, (8) 4’x3’ window openings, allowing for natural sunlight inside, (4) 3070 openings enclosing (4) 3070 walk doors and (2) 6070 openings, each enclosing one of (2) 6070 walk doors. The pre-engineered athletic building also features several accommodations made to enhance durability with regard for the climate and weather patterns common in and around Livermore, and these include a 62-psf snow load and a 145-mph wind load. 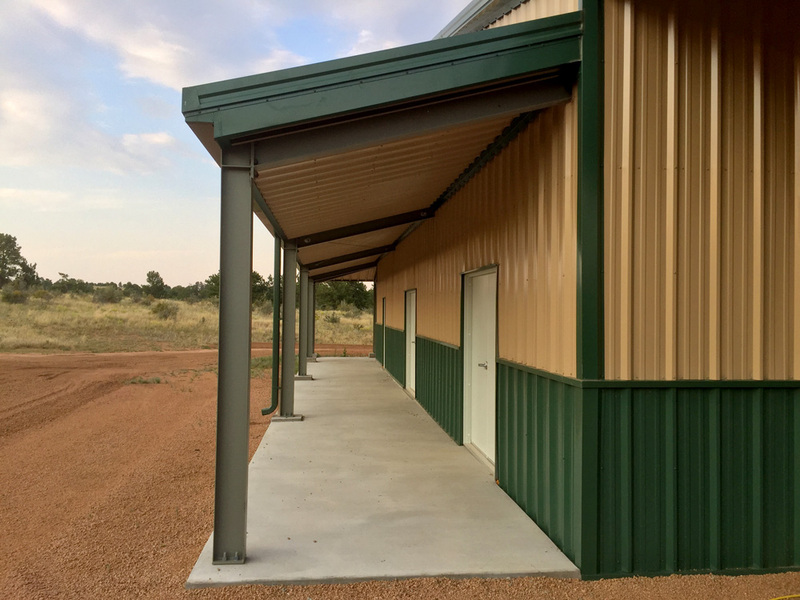 Steel has long been the construction material of choice for those seeking flexible, adaptable buildings for recreational usage, with steel buildings providing economical, low-maintenance options for owners of gyms, riding arenas, indoor basketball courts and more. This building gives users a broad, unobstructed place to recreate year-round in a climate where some activities, such as tennis, are otherwise seasonal. An unincorporated community in north-central Colorado’s Larimer County, Livermore lies about 44 miles northwest of Loveland and roughly 30 miles northwest of Fort Collins. Considering purchasing a metal building for recreational use in Colorado or another part of the country? Click here for a price quote.